Johnny's son, John Shannon Jr., is asking for $2500 to help wi th expenses. The service will be held at the Medical Center Baptist Church 7015 Wurzbach Road (78240 for those who will be using your GPS) The service will be at 11:00 AM Saturday November 21st. Anything you can do to help with the funeral expenses will be very much appreciated. The monies raised will go to Johnny's son, John Wayne Shannon Jr., who will dispense the expenses. In advance, thank you for anything you can do to help Johnny "Solid Gold" Shannon with the kind of send off he so richly deserves. Thanks so much to all of you who have donated so far to this radio legend to let him know much he was loved and admired and may God bless all of you. 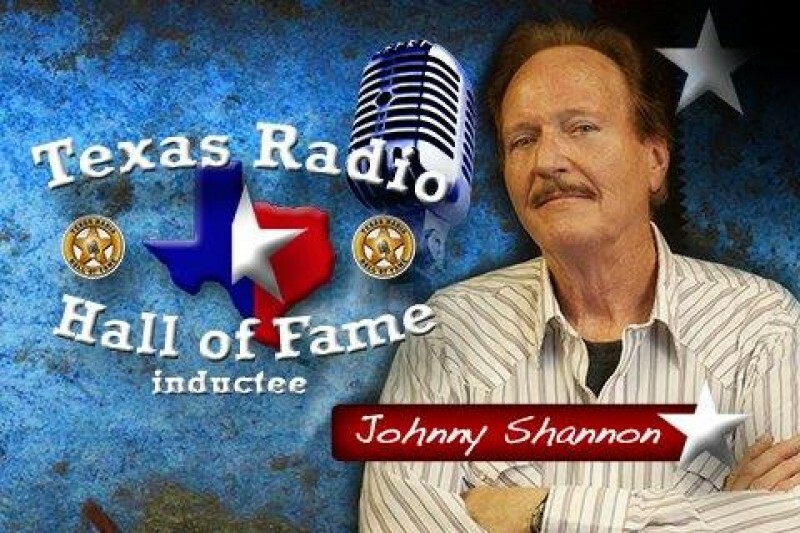 Johnny Shannon Jr. has moved the date of Johnny Shannon's memorial service to the 21st of November because of the number of people who would like to attend the service will be in Austin on the 14th for the Texas Radio Hall of Fame inductions. All of the other information will remain the same as far as time and location. Also John Jr. has reduced the amount monies needed to $2500. If you have not as of hyet contributed and wish to do so John Jr. would greatly appreciate your help. Thanks to all who have donated so far to a radio legend to let him know much he was loved and admired. Many monies are still needed...won't you please help? PLEASE. NOW'S THE TIME to help cover the cost of Johnny's memorial service. His son John has done everything possible to hold down the cost, and 2500 is a truly reasonable amount. Whatever you can do for the memory of our good friend will be very much appreciated! My dear friend Johnny Shannon, how you will be missed! Like Brad says, I've never heard a complaint EVER come out of his mouth, always the nicest person you could know. I had the privilege of working with Johnny for some 14 years in this crazy radio business and I will miss him! Every bit helps. I know in radio, you're either sinking or swimming. Every 10 dollar donation adds up. Johnny was a good friend to so many people. He will be sorely missed. Johnny was a better person than a broadcaster, and he's in the Hall-of-Fame for broadcasting. What Johnny shared with me in the control/production rooms made my career. What I'd give for one more trip around loop 410 with you and a quart of beer. Thanks Conroe...Ferdicksburg. My buddy, Johnny. We all love you.